For the final phase of our Contest Edition of The Pitch, we brought three innovators into the studio to race against the clock. Now, we’re getting you involved in the process. 1. Watch the three videos below and vote for your favorite. 2. Enter your email address for a chance to win $600 from SheKnows Media. 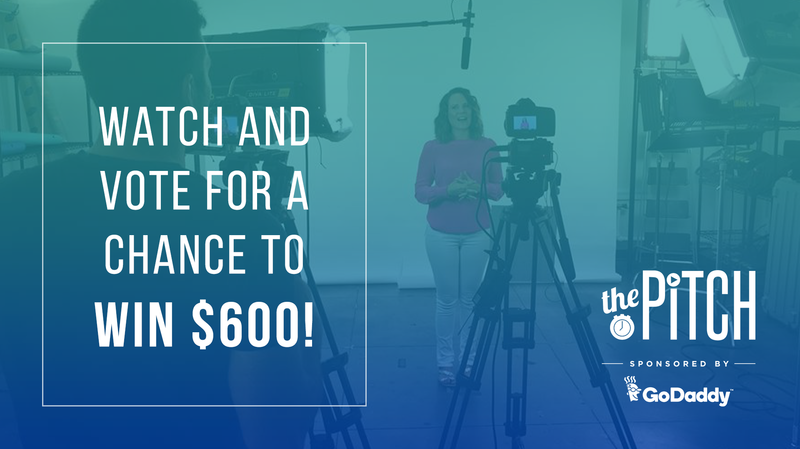 The entrepreneur whose video garners the most votes by October 31st will win $500 in services from our sponsor, GoDaddy, as well as an expense-paid trip to New York City. We want your input, and so do the entrepreneurs – so vote now!